How to Wear Fake Eyelashes for Beginners. Beautiful eyes are the biggest attraction, not only they look gorgeous but they lit up the entire personality. Let’s admit it, everyone drools over big eyes are fuller lashes, it’s just simply appealing! People who don’t have thick eye lashes can absolutely relate to this, the continuous struggle to add volume to eye lashes is tricky ,voluminous mascaras can help but to a little extend only. Fake eye lashes are the real solution now. For those who’ve been wearing fake eye lashes they face no issue applying them, but for beginners it can be a huge mess to apply fake eye lashes. So all the newbies, no need to worry now, we’ve got the complete solution now. A step by step guide on how to wear fake eye lashes. To make things easy, let’s begin with a step by step video tutorial for Beginners ! 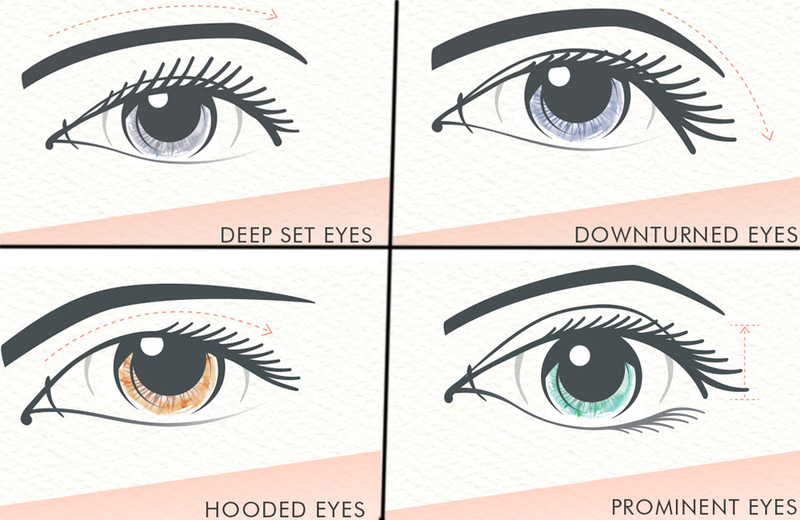 It is highly essential to know your eye type and which sort of lashes will suit them perfectly. Eye lashes are available in a wide variety, from full strips, to three quarter pieces or individual lashes. Full strips are comparatively easy to apply and take lesser time than strips and individual lashes; also they give eyes fuller and more dramatic look. Eye lashes are available in a wide variety of colors, so make sure you opt for the one which are closer to the natural hair, for a realistic look. Different and fancy eye lashes are available but those can be worn for different events and are not preferable for everyday look. Since beginners usually don’t know the left or right of the lashes it is highly essential to figure it out before removing the lashes from the box. Why this is important is because in the later stage when the lashes are to be trimmed it causes an issue. Not only this, but if the eye lashes are not properly removed, they can lose their shape thus proper and neat application will be a problem. Make sure you use a tweezers and pull out the lashes from the outer corner to prevent any damage. Before applying it is very essential to measure the lashes with your eye size, because the lashes are available in free size i.e. which fit all eye sizes. The measurement shall begin from the inner corner of the eye to the outer corner. Once the size is measured, it is important to trim accordingly. It should always be kept in mind to trim the lashes from the outer corner, because cutting them from the inner corner will create a mess and neat application will not be possible. With a good adhesive comes two responsibilities; one is which adhesive to use; the other is how to use it. Generally there are white and black adhesive which are readily available in the market. White adhesive dries up quicker and due to light coloration it isn’t tricky in application, where as the black adhesive is darker and can be tough as there is no margin of error but it is stronger in application. Some of the lashes also come with applied adhesive. Before applying the lashes, bend your eyes down and begin to place the false eye lashes right on the real eyes lashes and press them both together gently. Don’t worry if things don’t work out in the first try, the steps can be repeated again. Using tweezers or fingers squeeze both the lashes together before applying mascara so both of them gel in with each other perfectly. Lash curler can be used prior to using the mascara so it further enhances the volume. Apply mascara to bond both the real and fake lashes and still if some spots look incomplete and empty those can be filled using eye liner to give completeness and fullness. And tadaa! You are done with applying false eye lashes. Applying false eye lashes can be a very difficult and annoying process but with great practice comes greater results. The process is time taking and in the beginning may not end up looking as perfect as in the images. Let’s not lose hope, there are some additional tips and tricks that will also help to achieve the glamorous eyes with fake eye lashes. Always search and buy eye lashes with invisible strip, not only they help in neat application but they also weigh lighter on the eyes and are much comfortable to wear. Wear mascara only if you don’t wish to re-wear the lashes, mascara makes the blending perfect but it is never suggested to wear mascara if you want to apply them again. To get the best results always try to think of the final look you want to achieve and then buy accordingly, so it reduces the chance to apply mascara. For perfect results, never, I repeat, NEVER ever trim the lashes from the inner corner, always start trimming the eye lashes from the outer corner and then gradually moving towards the inner corner. 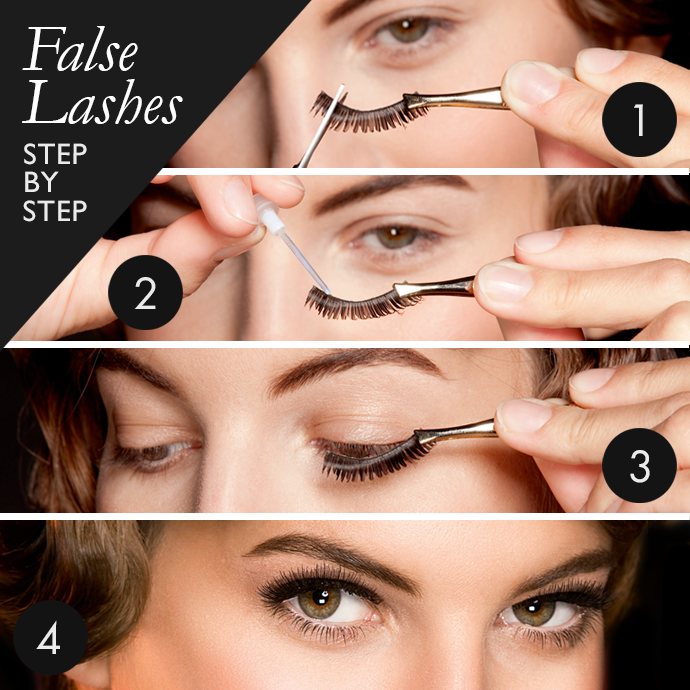 Along with applying false lashes it is also very important to know how to remove them too. Directly removing them or peeling them can cause huge damage to the eyes and the real lashes. Use makeup remover for this purpose, take a cotton swab and put some makeup remover on it, now let this cotton swab rest against your eye for some time so the eye lashes loosen up. Now you can gently remove them. False eye lashes can work wonders only if one learns how to do so! Thank you for sharing this tips with us! I have always wanted to wear fake eyelashes but I wasn’t able to apply them myself. Now, with the help of this article, I will work up my guts and I will try this myself.